The experience and solid leadership of Gladney's executives, along with the talent and dedication of our employees, help to make Gladney Center for Adoption a success. 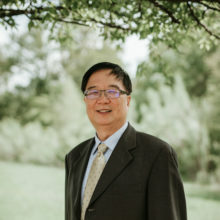 I earned both my BBA and MBA from the University of North Texas and then worked as a financial consultant and in various fundraising capacities with North Texas not-for-profit organizations. 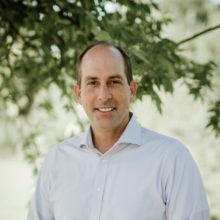 Just before joining Gladney in 2008, I served for seven years as Director of Finance and Gift Planning for Harris Methodist Health Foundation and then as Chief Development Officer for Big Brothers Big Sister of North Texas. Heidi has also served on the board of the Texas Family Law Council, which supports the efforts of the Family Law Section of the State Bar of Texas. Heidi will be inducted into the Adoption Hall of Fame at the National Council for Adoption Annual Gala this November in Washington, D.C.
Heather received her B.B.A. in Management Information Systems from Texas Tech University in 2001. In 2009, she received an MBA and Masters of Science in Human Resource Management from the University of Texas Arlington. Heather has been an active member of the Society for Human Resources Management (SHRM) since 2008. After working in the Assisted Living field for 4 years, Heather became part of the Gladney Center for Adoption team in December 2005. She believes Gladney is an amazing organization to work for and is grateful to work with such a dedicated and passionate staff of professionals. 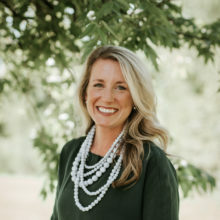 Heather's primary goal is to recruit and retain the most talented and passionate professionals and become the Adoption agency of choice for students as they graduate with their advanced Social Work and Counseling degrees. Her motivation at Gladney is to partner with staff to ensure they have the resources available to provide the best possible service and support to Gladney clients. Heather hopes the Gladney staff will continue to see Gladney as a fun, challenging, and rewarding place to grow in their careers. 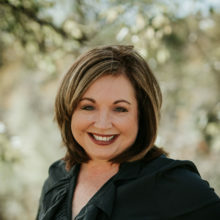 Jennifer Lanter is the Vice President of Communications for the Gladney Center for Adoption and. Jennifer provides a unique and engaging perspective on the subject of adoption and has worked in the adoption field for over 16 years. In addition to her professional experience with adoption, Jennifer and her family adopted a precious little boy 10 years ago. As a Fort Worth native, Jennifer Lanter received a Bachelor of Arts in Communication from the University of Texas in Arlington. She began her career at the Gladney Center and has since dedicated her career to creating bright futures through the miracle of adoption. Jennifer has extensive media experience and has worked with People magazine, Oprah Winfrey Network, Lifetime, MTV, Washington Post, New York Times and several other media outlets. Jennifer is passionate about public speaking and loves the message of hope and adoption across the world! 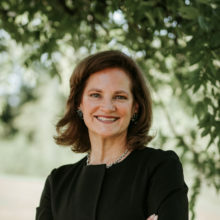 Lisa Schuessler joined Gladney in 2008. Throughout her tenure at Gladney she has served in various fundraising capacities and now leads Gladney’s Donor Relations efforts. Lisa has a Bachelor of Arts in Communication with an emphasis on Advertising from San Diego State University. 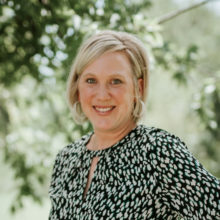 Lisa’s favorite role is to serve as a connector for Gladney, linking people’s time, talents, and treasures with the heart of our mission. Her team does that through written requests, creative communications, one-on-one conversations, genuine and intentional relationship building, updates for donors on the impact of their gifts, and special events, including The Gladney Cup. Personally witnessing the impact you can make when you serve alongside those who need you, fuels her desire to be an adoption advocate and volunteer with several organizations in her community. Lisa found her love for community engagement at a young age when she found herself constantly looking for ways to serve. She and her husband, Jeff, have three sons and are proud to call Fort Worth home. When you couple giving hearts, who want to see lives changed, with Gladney’s belief that every child deserves a loving and caring family – anything is possible. Together, We Are Gladney! I joined the Gladney Center for Adoption in 1994. Before Gladney, I was working for ESPN Sports Network as its Director of Mandarin Language Service. I did my undergraduate in the Shanghai International Studies University, formally known as Shanghai Foreign Language Institute before I came to U.S. in 1987. With a Fulbright scholarship, I attended Columbia University and obtained a Master of Philosophy in Political Science in 1989. In the past twenty-three years, I am responsible for Gladney's New York Office and running its Asia adoption programs from New York.